For our second Cast This for the second season of Outlander, we are focusing on Roger MacKenzie. Roger appears as a small child in both the TV series and novel of Outlander. When we begin the novel Dragonfly in Amber, he is grown up, along with Brianna Randall (her Cast This and Your Picks posts). He is a character that stays around for a while along with Brianna, so I would assume that the casting director is looking for someone who can carry a role that may be small to begin with, but will become a larger part of the series if more seasons beyond two are made. He is 28 at the beginning of Dragonfly in Amber. “Nothing much wrong with him, he reflected, sucking in his stomach and pulling himself upright before the full-length reflection on the back of the door. Firm. Trim. Long-legged, but not spindle-shanked. Possibly a bit scrawny through the shoulders? He frowned critically, twisting his lean body back and forth. Which actor would you choose to play Roger and why? Please keep in mind that eye color and hair color can be changed very easily. Eye color is not something that may be changed to keep in line with the book character. Please comment below with your choice and add a photo of the actor if you choose. I will make a new post in a couple of weeks with your top three choices. 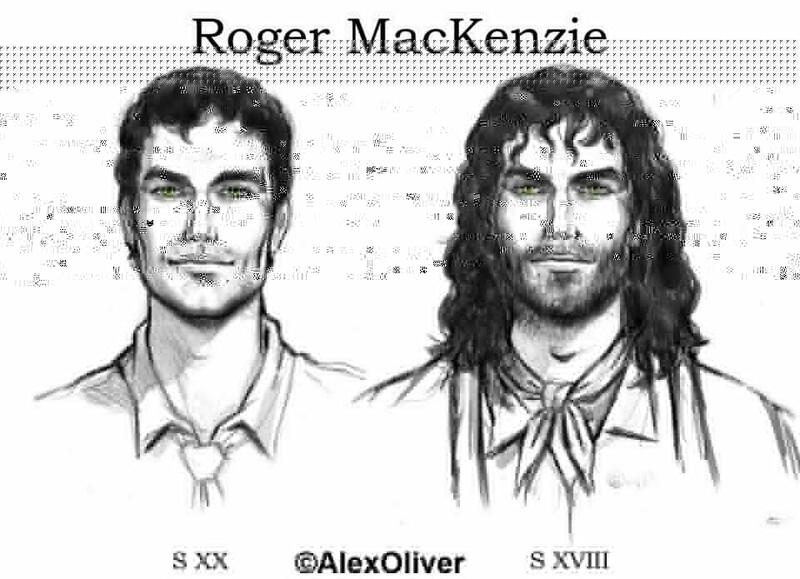 Below is a drawing of Roger MacKenzie by Alex Oliver (her Twitter account). This entry was posted in Not Really News But Still Worth It! and tagged Cast This, Roger MacKenzie by Sarah Ksiazek. Bookmark the permalink.